This luxury villa resort on a private Maldives island is accessible by plane, and then a boat ride from Ibrahim Nasir International Airport. Chic, wood-walled villas have sitting area, and decks with open-air bathtubs. They feature tea and coffeemakers, flat-screen TVs and iPads, as well as free Wi-Fi. Upgraded villas add plunge pools or are perched above the water. Room service is available 24 hours. 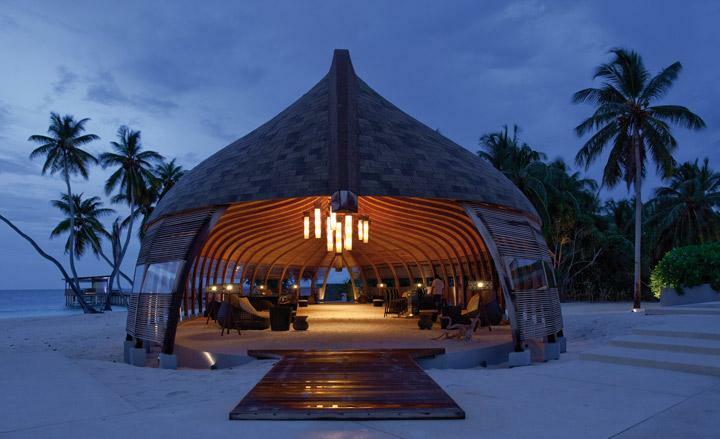 There are 2 restaurants and 2 bars, 1 under an elegant, boat-shaped canopy. Amenities include private beaches, 2 outdoor pools and a fitness center, along with a day spa. Diving trips, snorkeling and yoga, along with cooking classes are available.